You know from experience; no two businesses are the same. How does yours set itself apart from competitors? For our clients, they rely on setting a great first impression with the right landscape, and by consistently providing safe, beautiful, and functional grounds. They want to make sure that their sidewalks and parking lots are safe, and the trees, shrubs, and grass outside of their buildings are immaculate. And we know that this is what has brought you to Reinhart Grounds Maintenance, Inc. Escape uncertainty with customized grounds maintenance and landscaping services from Reinhart. We serve businesses of all sizes and will service your Central Illinois location, from Bloomington-Normal to the Greater Peoria area, from Champaign to Springfield. Keep your property looking its best throughout the year with our grounds maintenance plan. Reinhart uses the latest equipment and processes to keep your site clean and safe. Our clients rely on Reinhart to have their sidewalks shoveled and parking lots plowed before a single customer or employee has arrived, and our ability to guarantee that has made us one of the most trusted snow and ice management providers in Illinois. We offer complete winter maintenance services for commercial and industrial properties throughout Central Illinois. We arrive on time, provide an effective and professional service, and ensure that you and your staff have access to roads, parking lots, sidewalks, shipping docks and other critical areas. When your property looks bland, outdated, or is an eyesore, it needs to be changed, but do you know what the best solution is? When it comes to your landscape, Reinhart can help you design and build the perfect solution. We bring comprehensive landscape installation services to you, and will work closely with owners, architects and general contractors. Throughout the entire process, we will work with you, from designing, planning, and problem-solving to implementation. For current clients, we offer landscape enhancement services. Whether it's a seasonal color installation or an entire site re-design and renovation, we have the experience and resources to manage your landscape improvement project with results that will impress customers, employees, and the owners. Don't let unsightly weeds or growth take away from the look of your property. 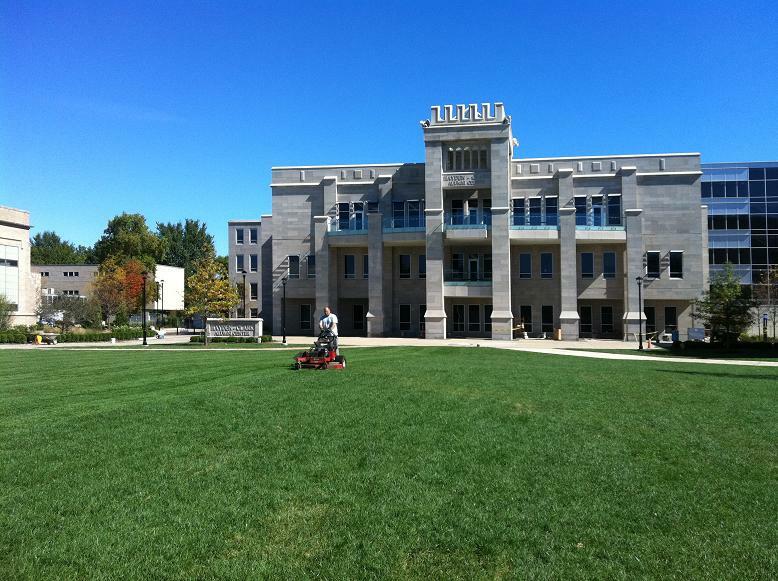 Reinhart Grounds Maintenance is experienced and capable enough to properly control all types of vegetation. To control your weeds, we use both environmentally-friendly chemicals and mechanical means to achieve the best outcome based on your property’s needs. We can work alongside your company and team to create the right vegetation control plan, and adjust as needed. Create the outdoor living space that fits your lifestyle. We can bring your vision to life or create a custom plan to make the outside of your home beautiful and fun for your family and neighbors.